While Saudi women are still banned from getting behind the wheels at home, the kingdom’s Shura Council is studying a proposal to enable women to drive abroad by granting them the right to obtain international driving license, Al-Hayat newspaper reported on Friday. The proposal was drafted by Latifa al-Shaalan and Haya al-Mani, two of the council’s 30 female members, sources told the newspaper. Article 23 of the council's rules allows members to propose amendments to existing laws or propose new legislations. The draft proposal comes nine months after the two female members made a proposal to grant women the right to the drive in the kingdom. According to al-Hayat, the new proposal seeks to amend article 36 of the traffic law which lays out the conditions for obtaining a driving license. The proposal is still under examination by the council’s advisory committee and has not been sent to the concerned committee within the legislative body, the report said. The news comes months after several Saudi women activists defied the ban by driving in the Saudi capital Riyadh and in various parts of the country over the past few years. 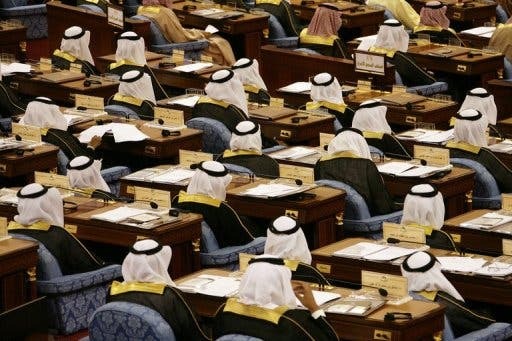 “I have personally not heard all the details about this proposed amendment, but I can’t see how it can benefit Saudi women who don’t have driving licenses to start with! How are they going to convert them to international ones if they don’t have local papers?,” the source said. “Again, if the law passes then the only benefit will be long-term and strategic, as it would indirectly mean that there is a law that now says both men and women have a right to have license, and perhaps the next step would be to allow women to issue local licenses, but I highly doubt this is what the hidden agenda is,” the source said.